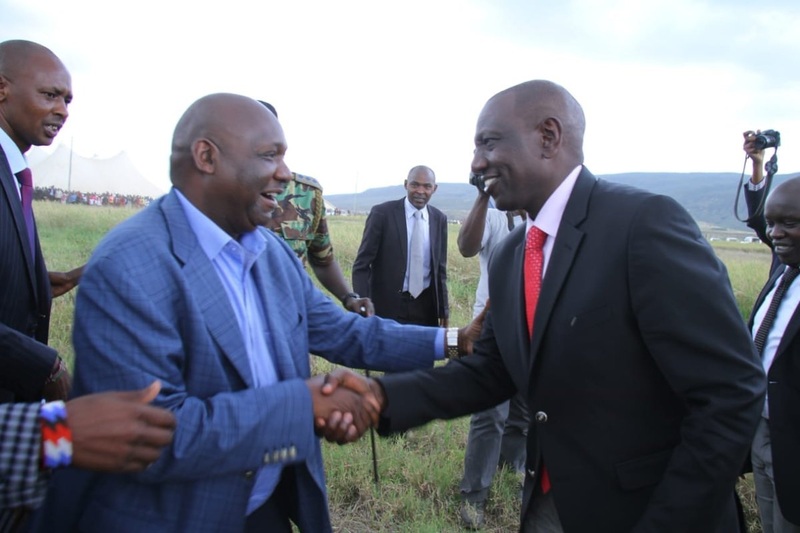 Monday August 27, 2018 - Deputy President William Ruto and Saboti MP, Caleb Amisi, exchanged bitter words after the DP told the lawmaker to his face that he will not support development in his constituency unless he joins his political camp and supports his 2022 Presidential bid. Addressing a public rally at Endebess Primary School, Ruto scolded Amisi and warned him that his constituency will only benefit from the national Government if he cooperates, otherwise he should forget about any development. Ruto said the Jubilee Government will build technical colleges in Cherangany, Endebes, Kiminini and Kwanza Constituencies but not in Saboti until Amisi defects from ODM to join them. “I have also asked Kwanza to look for a piece of land where we will build a college but in Saboti, unless the area MP stops the ‘Tibiim' and ‘Tialala' politics he will have to sort himself out,” Ruto told the rally. But in a quick rejoinder, Amisi vowed not to succumb to pressure from the Deputy President to join his camp in favour of development from the national Government. “Let him know that national resources do not belong to individuals and my constituents deserve development because they pay tax,” Amisi stated. “I support the new-found working relation between President Uhuru Kenyatta and my party leader, Raila Odinga, and if there are any urgent issues I will direct them to the President,” he added.